This year there are some AMAZING collections that have been launched for the holiday season 2012. 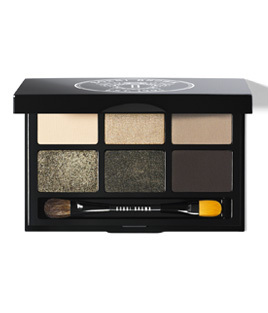 This eye palette is right up my street as I predominantly wear browns and greens. There is a 'cool' and 'warm' eye version also. Still obsessed with coral-say no more! 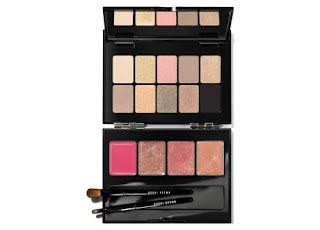 Bobbi Brown is a brand I have recently re-discovered after a few years of not buying anything from the brand. 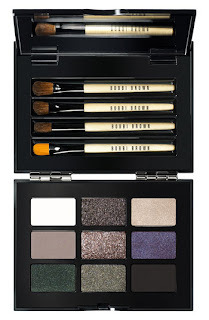 Bobbi Brown is the Queen of the natural, groomed look but some of the products they have been releasing really have been beautiful, in both looks and quality. 9 eyeshadows with different finishes-matt and metallic. 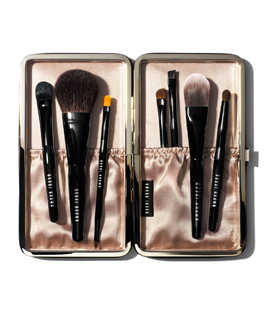 10 eyeshadows and 4 glosses plus brushes-a beautiful set. Stila has for a very long time been one of my favourite make-up brands but it doesn't get the kudos it deserves. 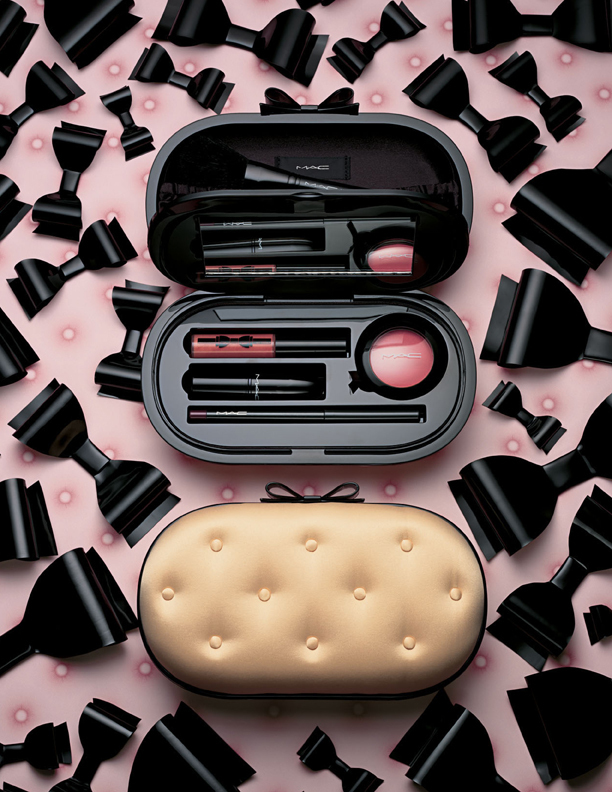 It even disappeared out of the UK for a short while but is now back with a vengeance in Boots and in Selfridges Beauty Workshop hall. You can also buy online here. I have ordered some products on line and they came beautifully wrapped in bright pink tissue with a cute little card. I will do a post about my favourite Stila products but for their Xmas collection there are a couple of real gems. 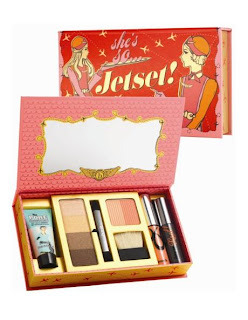 Stila is about the same price as Benefit so not hugely expensive and the quality is great. Stila lip glazes are fruity smelling and non sticky. 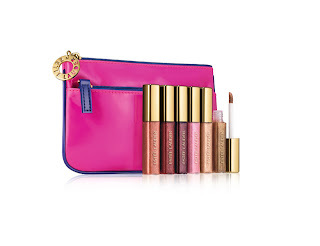 This set would be an amazing gift for GBP18.50 (if you were to buy individually it would be GBP75!!) or you could break up the set and share them around your friends as stocking fillers. Another highlight of the Xmas collection is this eyeliner set. 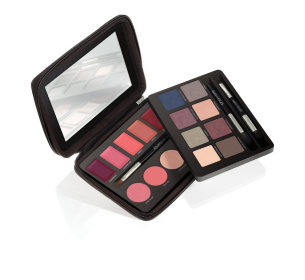 Lovely colours for the festive season with a metallic finish-this set is worth GBP65 but is retailing for GBP25. 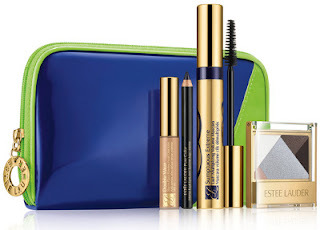 Contains a miniature 'the Porefessional' (pore minimising primer), 4 neutral eyeshadows, first class face powder with a miniature brush, a mini 'they're real' mascara (this is an AMAZING mascara) and a mini lipgloss in 'Life on the A List'. Cute personified. 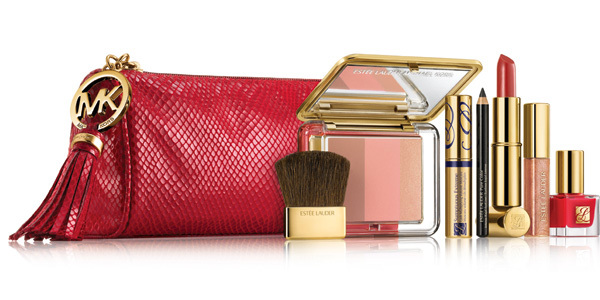 Maybe viewed as a more 'grown up' brand but Estee Lauder have some great Xmas gift sets this Xmas. 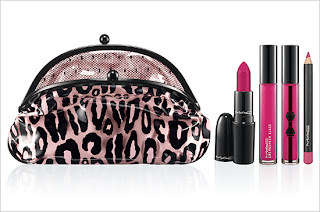 And they have teamed up with Michael Kors to produce some great gift sets comprising of blusher, lip gloss, brush, lipstick, nail varnish, mascara and eyeliner in a gift bag in either red, black or gunmetal. Well worth checking out. This stunning set is a double decker treat-8 eyeshadows, 5 lip glazes and 4 sheer cheek stains plus brushes. I am most excited about the eyeshadow shade Peridot which is a shimmery green colour. Thanks mum! 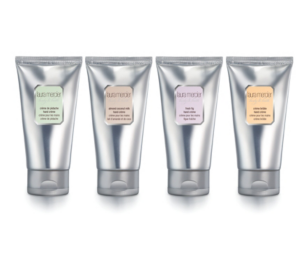 For those who love handcream, Laura Mercier have a lovely set of 4 amazing smelling, small size hand creams for GBP20. Finally for Laura Mercier, I am so tempted to buy this small Xmas edition palette-but I already have one of the shades in the palette! But that green is divine and I'm tempted just to buy it for that as it is a holiday edition and not in their permanent line. 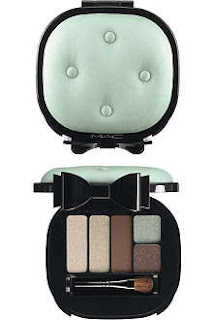 There is also a smokey eye version with silver/grey shadows in it. 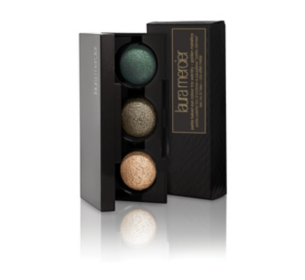 I have Black Karat (middle shade) and it can be used wet or dry and is a brilliant colour-I highly recommend Laura Mercier eye shadows-they have fantastic pigmentation and very little fallout. Finally, if nails are your thing then Nails Inc is the place to go for your holiday treats. 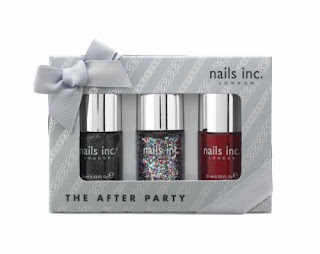 My pick of the bunch is this 3 polish set in 'The After Party'. Xmas is THE time you can get away with wearing gorgeous glitter and this set really vamps it up! Another brilliant nail polish brand I love is Models Own. 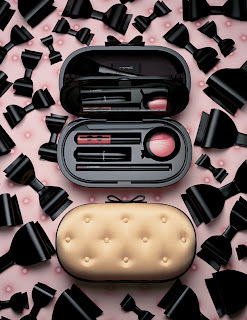 I so love this Wonderland Gift Set I cant think of anything more Christmass-y. Such a shame you can't buy Models Own in Dubai, I discovered it in Boots at Heathrow airport. This set looks great value for GBP20. What's on your list to Santa?